Atiku Abubakar, the Peoples Democratic Party (PDP) Presidential candidate has appealed to the people of the Northeast sub-region, to utilise the opportunity of producing the next president of Nigeria by voting for him. Abubakar, who made the appeal in Damaturu on Wednesday at the launch of his presidential campaign, said they should elect him, being one of their own, saying the 2019 presidential election provided the sub-region with a rare opportunity. “Since the Tafawa Balewa administration of the First Republic , the Northeast did not have another opportunity to produce Nigeria’s president,” he said. Abubakar cautioned security operatives and personnel of the Independent National Electoral Commission (INEC) against taking sides, urging them to maintain neutrality in the discharge of their responsibilities. The presidential candidate said if elected, he would guaranty security and provide infrastructure across the state. 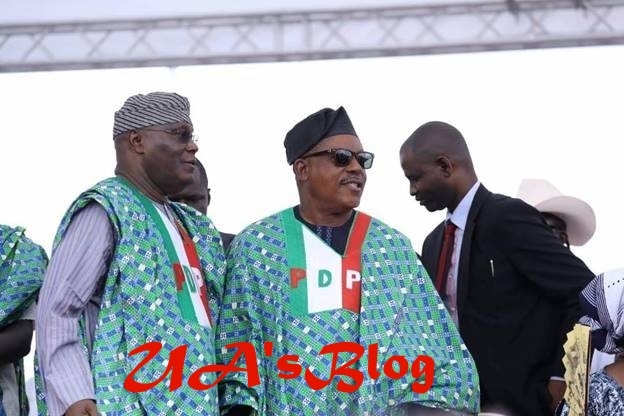 Also speaking, Uche secondus,PDP National Chairman, said the party, if elected, would guarantee security of lives and property, as well as create job opportunities.